What an excellent interpretation Diana, love it! Really cute idea! 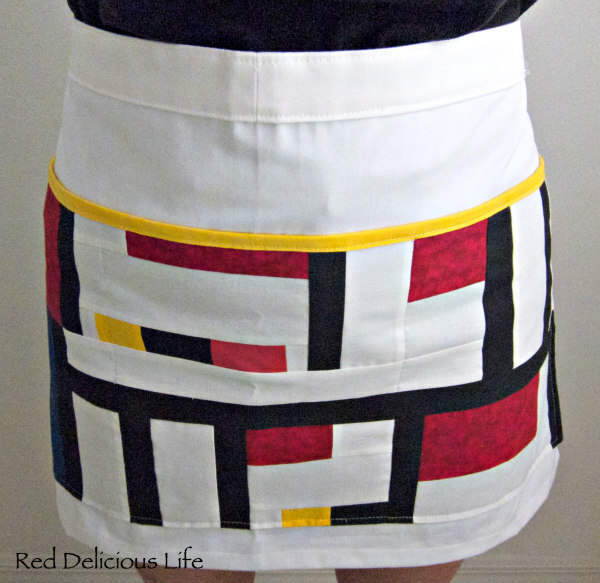 At our Modern Quilt Guild I made a 'modern Mondrian' for a mini wallhanging. It's mixed with a method by Elisabeth Hartman has nearly no 90 degree angle. It is a great apron and how lucky for the art teacher to have you as a volunteer! I wonder how many others you'll be making this year... ? You did a great job interpreting Mondrian. No wonder she loved it. How could she not?! That is so awesome that she gets aprons to match the artist she's teaching! Great job on the apron - perfect! I LOVE LOVE LOVE this apron. 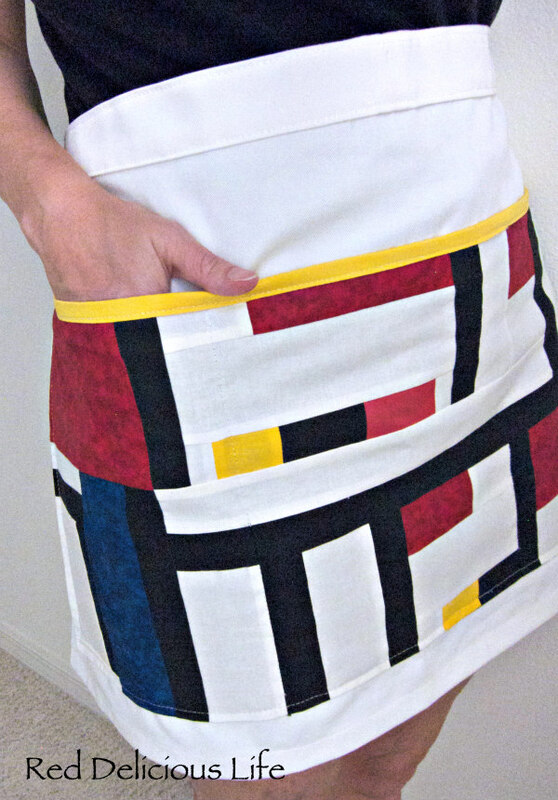 Piet has been a favorite of mine for years and this apron just shows his style of work off magnificently. Thanks so much for sharing at NTT. I love your interpretation. Really inspiring. Thank you for sharing ! 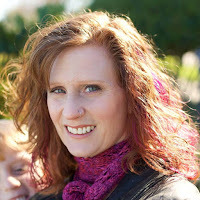 I am Dutch and it made me always smile when I see Mondriaan is appealing to childs and adults everywhere in the world. 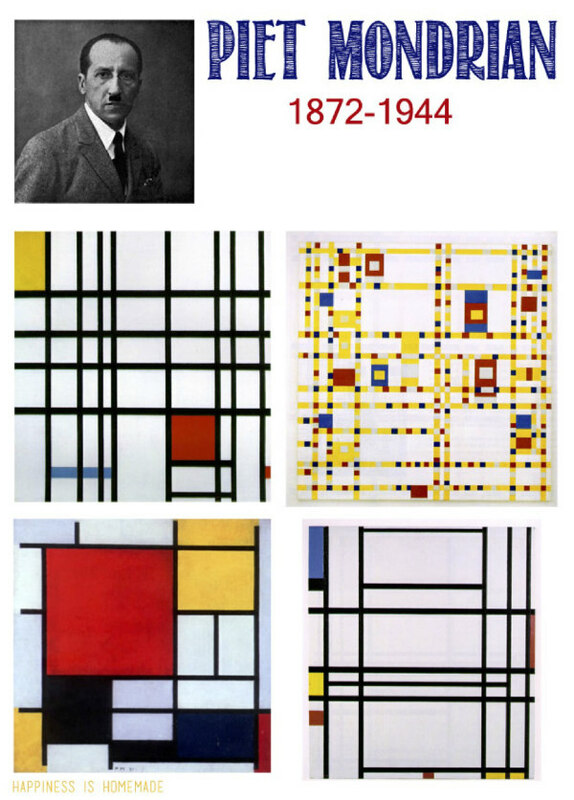 Mondriaan was always changing and changing the compositions for a long time before he was satisfied with the result. I wonder what he would think of all the art schoolchildren and quilters make. I love your skirt. A beauty. I think the children had a lot of fun lessons with such a teacher. Such a wonderful interpretation of Mondrian's work! 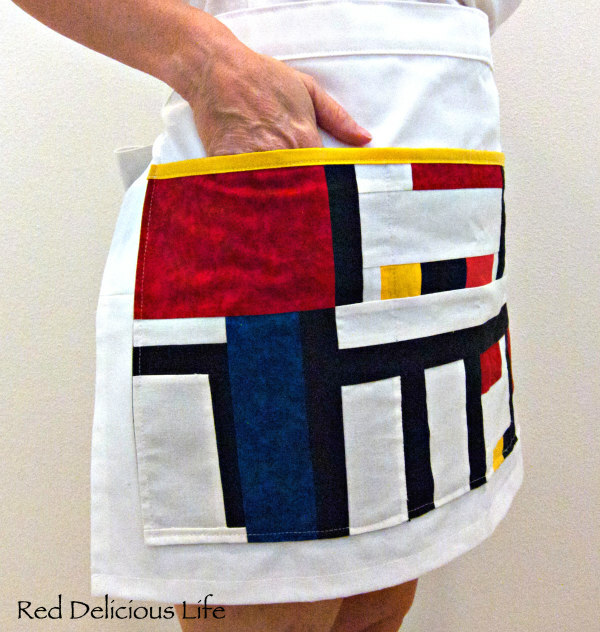 Using that patchwork for an apron is such a clever idea, what a sweet & thoughtful gift. What an awesome interpretation and a beautiful apron! What a clever idea! I wonder who else is on her list of artists? I hope it is not someone tricky to reproduce in fabric, like Klimt!